Android is the third platform to reach a billion users . The first was Windows and the second was Facebook. 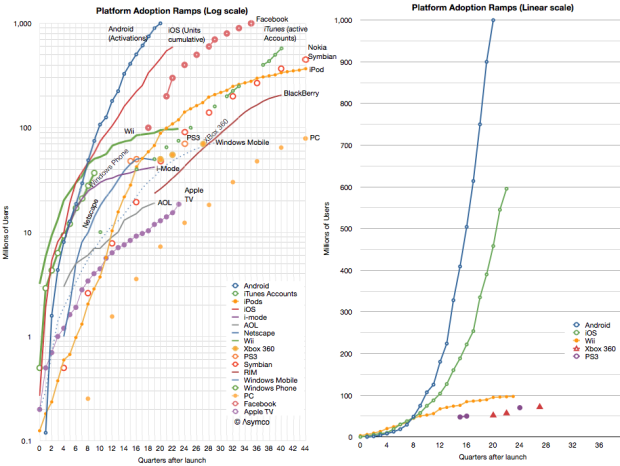 Apple sold around 650 to 700 million iOS and is expected to be the fourth to a billion sometime next year. However, Android growth can be qualified. 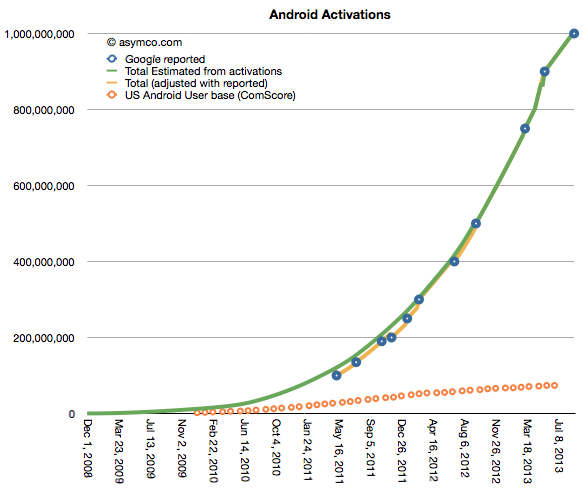 I added another set of data which is the number of US Android phone users as deduced from measurements by ComScore. Although activations are not users, I’m assuming that usage is not far behind and the cumulative sales figures I gather are roughly comparable. Separately, iTunes reports 575 million account holders. ComScore surveys users on their primary phone. Survey includes only those aged over 13 years and excludes phones issued by businesses.